The Geminid meteor shower was pretty awesome. And in a rural part of Canada it almost turned out dangerous as a large meteor exploded in the sky over Thunder Bay, Ontario rattling homes. One of the pieces ejected hit the ground. The 1-meter wide debris has been found. 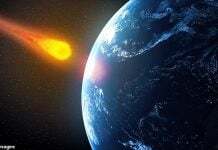 But the freshly fallen meteorite has disappeared. The loud boom could be indicative of a larger object that broke up, meaning there could be other fragments in the area. So wake up and go! You may find another piece of this explosive space rock! 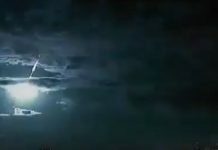 A loud explosion that shook houses in a semi-rural part of Thunder Bay, Ont., Wednesday evening may have been caused by a meteorite that landed on the outskirts of the northwestern Ontario city. Patrol officers were dispatched to the area of Highway 61 and Mount Forest Boulevard Wednesday around 11 p.m., to investigate a loud explosion that made houses vibrating. 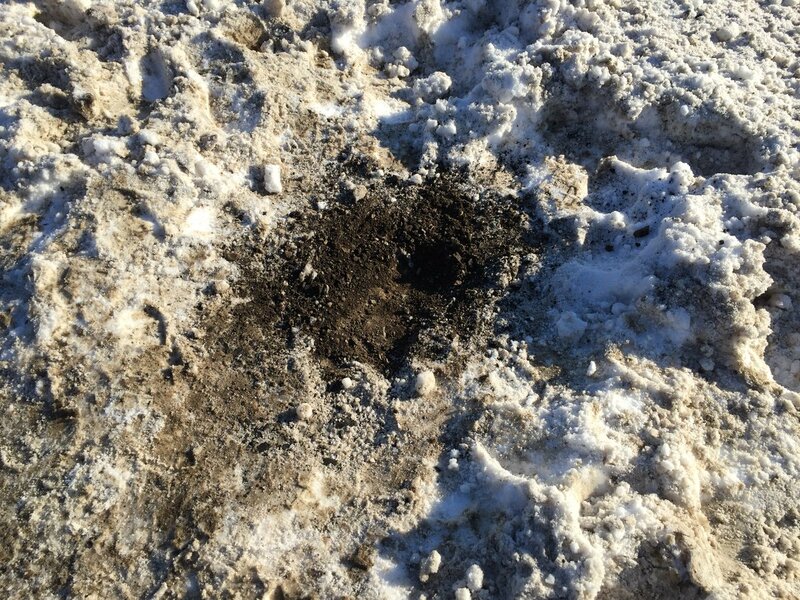 The only thing the policemen found is a large, round, 1-meter-large debris field in the snow with a pile of “rock-like-substance” in the centre, on the side of the Highway 61, in the area of Mount Forest Boulevard. There were no footprints or vehicle tire tracks in the vicinity. A geology professor inspected the impact area on Thursday, but didn’t find any meteorite. He said the hole looked as though it was caused by a meteorite crashing to Earth. This would be the first recorded meteorite fall in northern Ontario, because this is a terrible place to look for meteorites. The loud boom could be indicative of a larger object that broke up, meaning there could be other fragments in the area. So meteorite hunters just go ahead and find other pieces of this cosmic treasure! A small rest that came to pass and came to touch the ground burning it, without leaving a groove or hole in the ground. 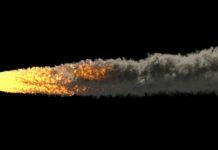 The rest of the meteorite burned everything when entering the Earth’s atmosphere.